Warning: This article may make your head spin. There are a ton of variables that will affect your decision tree, and I attempt to cover them all here. With the introduction of the revamped American Express Gold card (read this blog post on the Amex Gold card for all the math on the points and why it’s the new king of dining spend), does the math change on holding the Chase Sapphire Reserve instead of the Chase Sapphire Preferred? Let’s go back to the post entitled Chase Sapphire Reserve or Sapphire Preferred: Which is right for you? Because the CSP waives the first year fee and because I consider the $300 annual travel credit offers like cash, there is a $150 difference in the annual fee the first year and a $55 in subsequent years. The Amex Gold is the new king of dining spend for those that eat out a lot. In the post on the Amex Gold, I break down why the card has a net effective $30 annual fee once you use the $120 in monthly restaurant credits + your $100 annual airline credit. The Amex Gold gives 4 points per dollar in dining, while the Chase Sapphire Reserve gives 3 points and the Chase Sapphire Preferred gives 2 points. So, for dining spend we are looking at a card with a $30 effective annual fee giving 4x (Amex Gold), a card with a $150 net effective annual fee giving 3x (CSR), and a card with a $95 fee giving 2x (CSP). We also have to bear in mind that for those that redeem via the Chase Travel Portal, the CSR allows redemptions at 1.5 cents per point while the CSP allows them at only 1.25 cents per point. Let’s say you spend $1,000 a month dining out. In a year, you would earn 48,000 Amex Membership Rewards points OR 36,000 Chase points with the CSR OR 24,000 points with the CSP. Then let’s look at point value. I value Amex Membership Rewards presently at 1.75 cents a point and I value Chase Ultimate Rewards at 2 cents a point. Therefore, I’m earning $840 worth of Amex MRs OR $720 worth of Chase (CSR) or $480 worth of Chase (CSP). Subtracting effective annual fees out, I truly earned $810 putting dining on the Amex Gold vs. $570 (CSR) vs $395 (CSP). If all my spend was dining, there’s no question that all I need is Amex Gold. We have to look at some of the other card benefits, especially the points earned on travel spend and the Travel Insurance benefits that come with Chase which Amex does not have. The CSR earns 3x on all travel and, by holding that card, I can redeem in the portal for a minimum “yield” of 4.5% cash back on travel (and more if I transfer points). Of course, CSR points are only worth more than CSP points for portal holders – but I also earn one less point per dollar holding the CSP. Next, we have to look at card benefits. Both the CSR and CSP have great travel insurance for things like trip delay and trip cancellation that Amex doesn’t include on their cards. And of course, Priority Pass lounge access. So the next thought I have is what *other* cards I have that duplicate the travel coverage. Well, I have the Citi Prestige. That card (on top of the amazing Citi Prestige 4th-night free benefit) has similar, though not identical, trip insurance and also earns 3x on travel purchases. It additionally has the same Priority Pass lounge access included. So, as long as I have the Prestige, I really don’t *need* the Reserve for its benefits. For me personally, I really could probably give up the Reserve if I want to now. I don’t even really need a CSP either. I can use the Prestige for all travel benefits and use my Chase Ink Preferred for continued accumulation of Chase points and for transferring to travel partners. I haven’t decided exactly what I’ll do yet, as I do sort of have an attachment to the card and we don’t really know the future of the Citi Prestige card yet. Either way, I have several months until my next CSR annual fee hits to decide. Keep in mind I would never “close” the CSR account. I would downgrade it to a Chase Freedom Unlimited where I could still earn 1.5x URs on non-bonus category spend. (I already have that with my Chase Ink Unlimited anyway). Another thing to consider is points diversification. As someone that pretty much only uses these points to transfer to airlines and hotels, it’s important to me to have a nice bank of points in all 3 programs. If I need miles at Avianca or Cathay Pacific or Etihad, I need Citi Thank You points. If I want to transfer to Aeroplan, I need Amex points. Transfer to Hyatt? I need Chase points. If I looked at my current allocation, I’m about 45% Chase, 35% Citi and 20% Amex. So I can really use some more Amex. That will, at the least, weigh into how I use my cards for the time being. But back to the question at hand: Should you convert your Chase Sapphire Reserve to a Chase Sapphire Preferred? As you can see, there’s more than math involved here. But if you have the CSR card benefits duplicated and if you don’t redeem points in the portal, then you have to break it down to the $55 difference in “net” annual fee after the CSR travel credit. With Chase points valued at 2 cents a piece, you need to earn just 2,750 more points from CSR to break even. If you use that card for your travel purchases, (if you don’t use the Citi Prestige or another card) then it’s a no-brainer to keep CSR. If you use ANY of the card benefits that you don’t have with another card enough to extract value $55 from it, keep CSR. But if you are in my situation, you may want to reconsider your entire wallet. One thing is for sure: 4x points, worth about 1.75 cents a piece for an effective 7.2% rebate on dining, on a card with an effective $30 annual fee is huge. 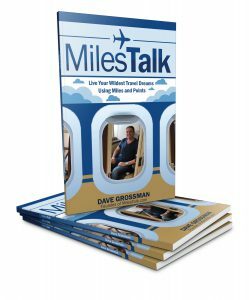 If you need help reconfiguring your wallet based on this massive change to the miles and points landscape, come visit us on the MilesTalk Facebook group and we’ll sort you out. In the market for a new credit card earning any of these currencies? Please see the current signup bonuses for Travel Rewards Credit Cards.